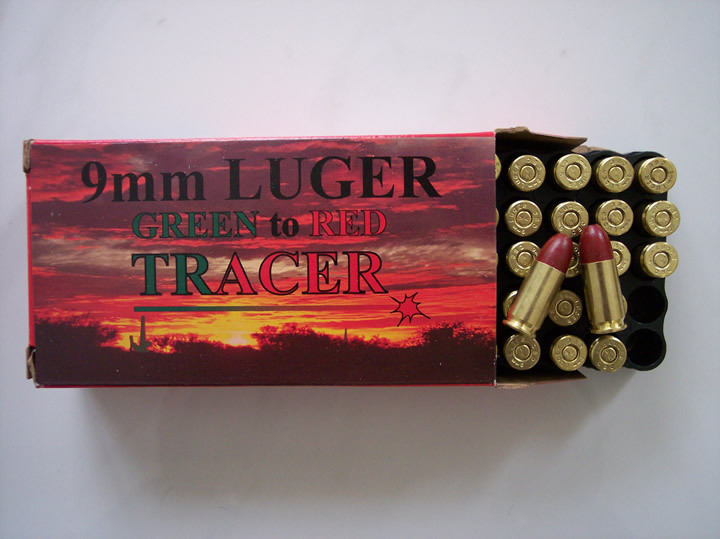 9MM Tracer Ammunition. Green to Red tracer, burns green for about the first 20 yards and then traces red, total trace is over 100 yards. 135 grain poly coated bullet. This ammo is non corrosive and made with all new components.